Incredibly succulent with a mild smoky flavour, it is sure to impress when entertaining or alternatively, just enjoy yourself as an easy meal. Serve whole or flaked. Try serving with a salad, with creamed dill sauce or with pasta. 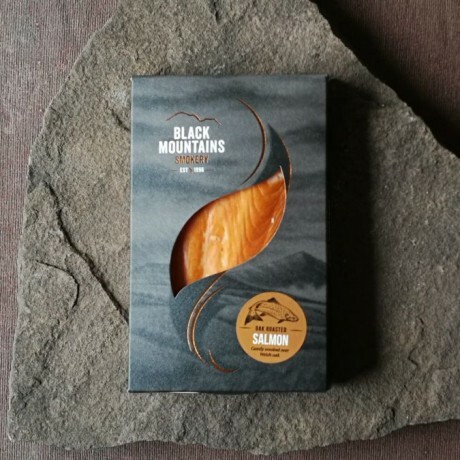 It is made with only fresh superior grade salmon, sustainably sourced from named farms in Shetland and the West coast of Scotland. The salmon fillets are then lightly cured on a bed of salt and then kiln-roasted in smouldering hot oak smoke. 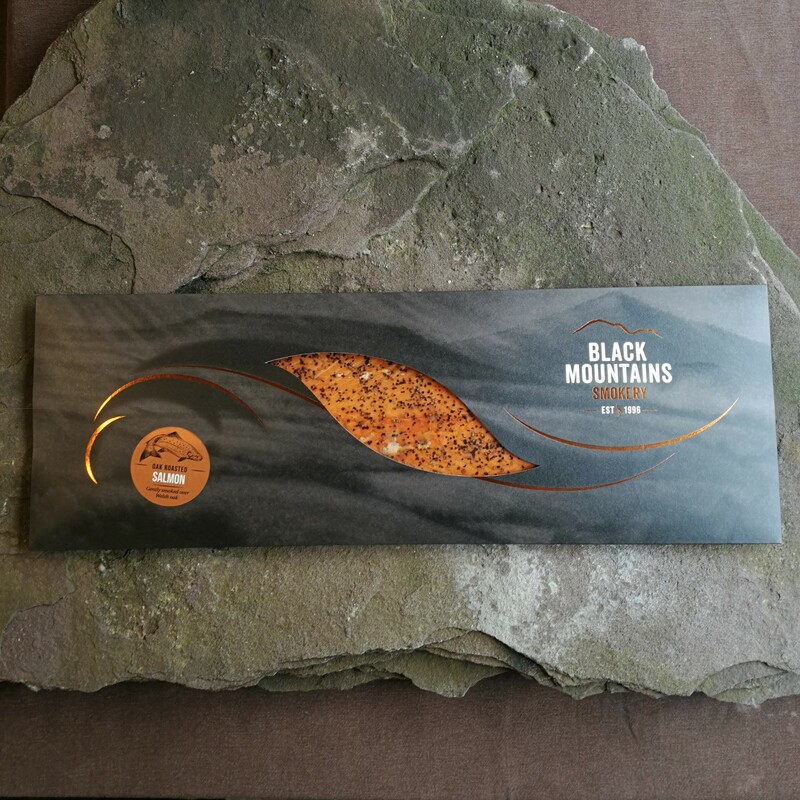 Available as a 190g portion, a 1.2kg extra large side or a 1.2kg extra large side with cracked black peppercorns. 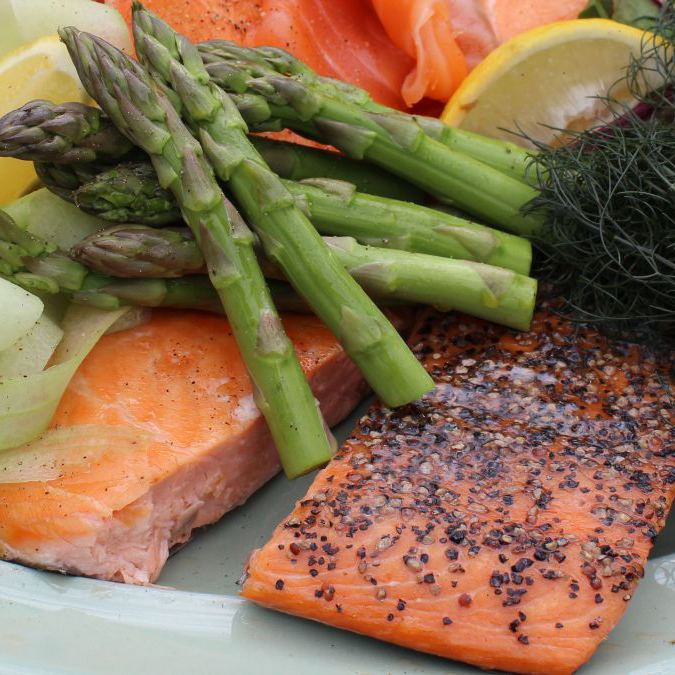 Add a locally handcrafted Oak Platter to turn the side of smoked salmon into a stunning centre piece. 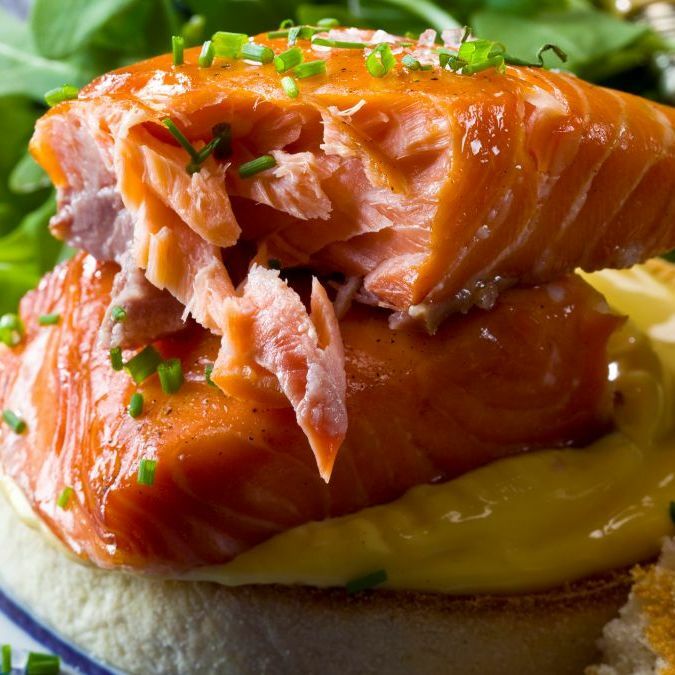 Black Mountains Smokery always recommend having a jar of Dill Mustard sauce to hand - it's delicious with oak roasted salmon when let down with a little crème fraîche. Ready to eat. Best served at room temperature. Please note that it may contain bones. Shelf life is a minimum of 14 days. Keep refrigerated below 5°C, and eat within 3 days of opening. Oak Roasted Salmon: Scottish Farmed Salmon (Fish), Salt, Oak Smoke. Oak Roasted Salmon with Cracked Black Peppercorns: Scottish Farmed Salmon (Fish), Salt, Cracked Black Peppercorns, Oak Smoke.